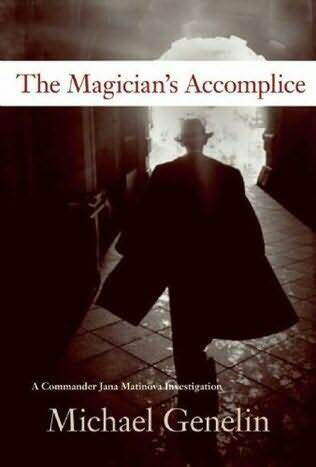 I'm catching up a bit late with the third volume in Michael Genelin's Bratislava-based Commander Jana Matinova series, The Magician's Accomplice (the next volume is about to be released, in fact). In The Magician's Accomplice, Matinova is handed two murders at the very beginning (and fair warning, in order to talk about the book at all, some spoilers are inevitable): one is a student who tries to get a free hotel breakfast and is assassinated for his trouble (was he the target, or was it the actual hotel guest whose place he was taking?). The second murder is her lover, a lawyer in the state prosecutor's office, who is blown up by a telephone bomb. But Matinova is quickly steered away from both, naturally enough, because of the death of one so close to her. She's in fact shipped out to the Europol office in The Hague, where her duties seem to be mostly busywork. Her predecessor in the Slovak "chair" at Europol disappeared, and she begins to investigate, unofficially, eventually enlisting the help of some of her colleagues. And all the while, she intends to investigate secretly the two cases from which she was removed. What results is a wild ride across The Netherlands, Vienna, Prague, and points between, in which Matinova is accompanied by an elderly former magician, the uncle of the student killed at the beginning, who has followed Matinova to The Hague. The story pulls the reader along without revealing much of what lies behind the murderous conspiracy that ties everything together, a testament to Genelin's skill in bringing together character, plot, and exotic settings. But the thriller-like plot begins, for me, to seem a little formulaic at times, and one important element of the plot turns on a pretty extreme coincidence that I expected to be more fully developed somehow, more integrated into the story than it was. And Matinova's skill in the violent encounters with bad guys verges on 007 standards, a bit of the "last woman standing" sort of thing. 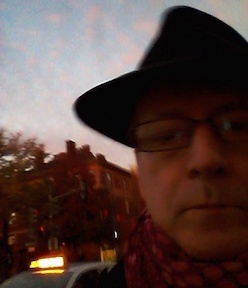 The magician, too, seemed to be developing into an interesting plot device (as well as character) but then wasn't, quite. Nevertheless, these quibbles won't keep me from progressing fairly quickly to the fourth installment in the Matinova saga. I'm interested to see how her character might deepen after her loss and its violent consdquences in The Magician's Accomplice—another example of the author's skill in drawing in the reader. I've only read The Siren of the Waters, which I quite liked, but felt the second half was too weak and busy with its Eurotour and belated revelations. The I didn't know there was even a second one out yet, let alone a third, but perhaps so far only published in US? I'll check it out. I wonder if the series gets better?